Most of us have pieces of jewellery in our jewellery boxes that have a story behind them. For most of us, our wedding rings are worn everyday, and yet other pieces can add a huge amount of interest and flair to an outfit, and combining the two can be rather special. If you're in the market for a ring or any special piece of jewelry, you can check out Invaluable.com where they have a wide variety of unique jewellery. 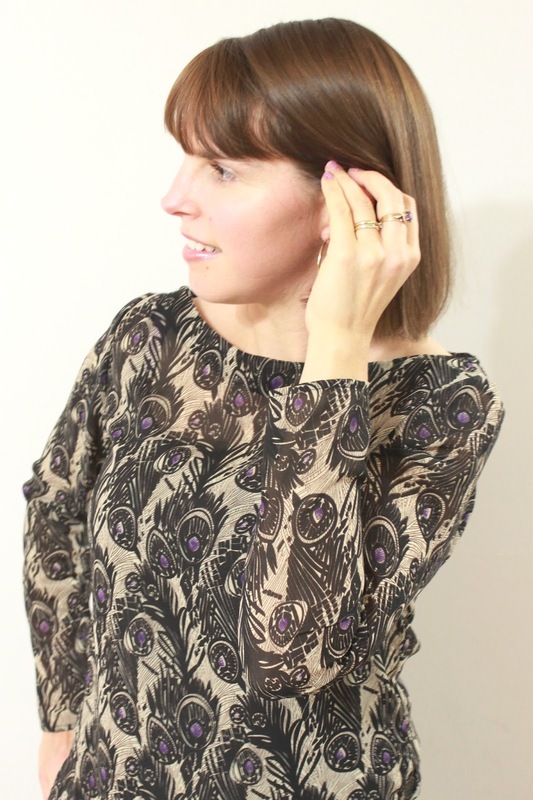 Today I would like to share with you one of my favourite sentimental rings that goes well with one of my favourite outfits. When my mum was younger, she got a job in a jeweler shop. This was her first job and her first paycheck was highly anticipated! 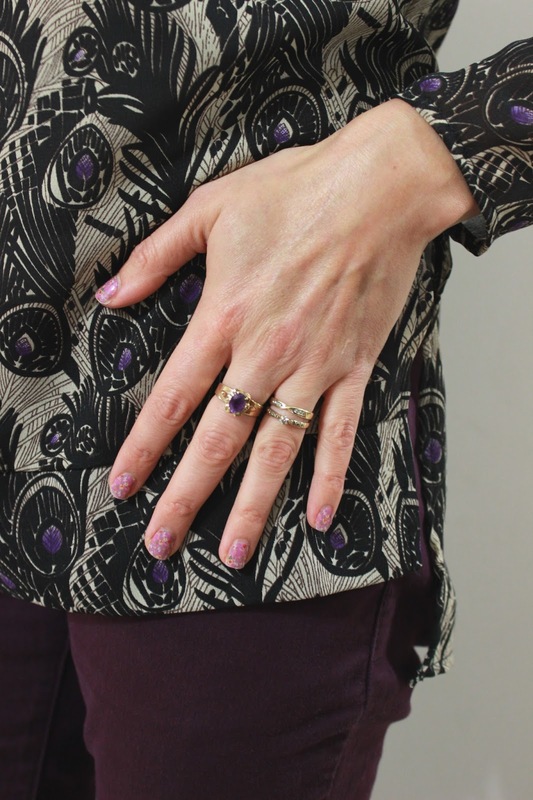 She purchased two rings with this first paycheck- a topaz and an amethyst set in gold. These rings symbolised the start of her freedom and adulthood, and as you can imagine, they were very special rings to her. When my twin sister and I turned 21, my mother passed these rings onto us. 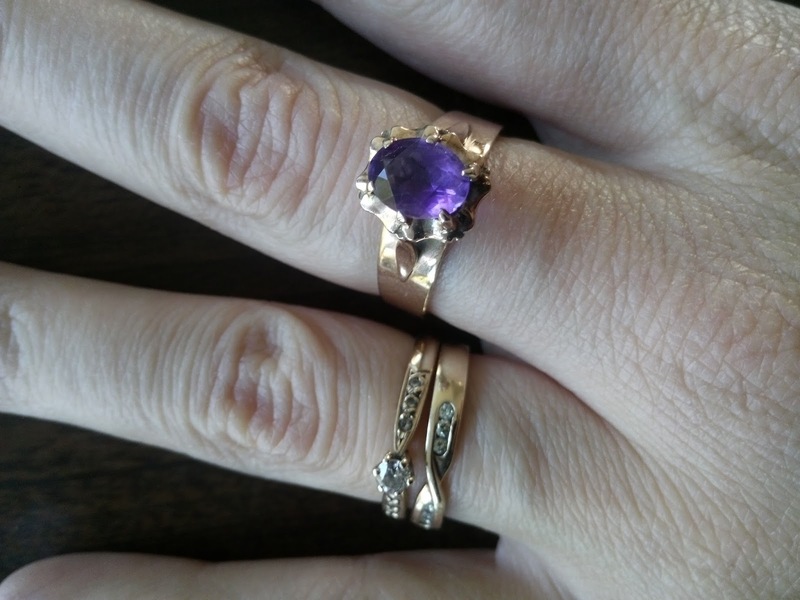 I received the purple amethyst ring, and my sister received the brown topaz. It was such a meaningful 21st gift, and I love purple, so this was such a wonderful present to receive. I know how much the rings meant to my mother, and now they will be passed down as a family heirloom. This ring is such a stunning piece, and although I usually don't wear large stones I love the colour and shape of this ring and wear it a lot more than my other rings. The ring paired with this outfit makes me fell confident and glamorous- it is amazing what a piece of jewellery can do to lift an outfit! Wearing it also reminds me of my mum, and although we are close and see each other a lot, it is nice to still have that visual reminder of her. 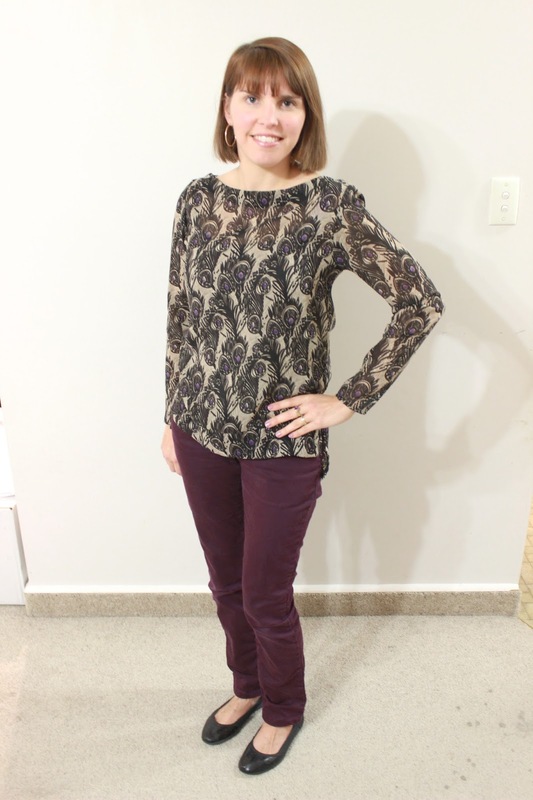 Do you have any sentimental pieces that work well with your everyday outfits? Just gorgeous. I love it. What a thoughtful gift. How lovely. I have my mother's engagement ring which I wear often. The piece I wear every single day without fail is my Tiffany Elsa Peretti Open Heart bangle. The Welshman gave it to me for my 30th birthday when I was very sick and in bed in the early stages of pregnancy. I've worn it every single day since.